Beneath the headlines focused on the unprecedented flows of migrants and asylum seekers that arrived in Europe beginning in 2015 is the reality that these movements across land and sea are highly adaptable and fluid, as would-be migrants and smugglers respond to changing immigration, enforcement, and visa policies, as well as a range of other conditions in origin, transit, and destination countries. This flexibility was seen when flows shifted dramatically between 2014 and 2015 from the central Mediterranean route, which runs from North Africa to Italy or Malta, to the eastern Mediterranean route, which goes through Turkey to eastern Greece, southern Bulgaria, or Cyprus. In 2014, three-quarters of all detected refugee and migrant Mediterranean crossings into the European Union occurred in the central Mediterranean—a rate that plunged to 15 percent the following year, as record traffic hit the eastern Mediterranean route on foot or by boat. There were several reasons for this shift, including growing knowledge that the Turkey-Greece crossing was relatively safer than the central Mediterranean, which witnessed several high-profile capsizings that claimed hundreds of lives beginning in 2013. Among other factors, growing numbers of Syrian refugees moved onward to Europe from countries of first asylum, including Turkey. With flows shifting overwhelmingly to the eastern Mediterranean, the European Union (EU) in March 2016 struck an agreement with Turkey to halt the movements of migrants and refugees traveling across the Aegean from Turkey to the Greek islands, in exchange for increased financial support, visa liberalization, and other inducements. The result was that crossings along the eastern Mediterranean route have been largely shut down—at least for now—and traffic is once again increasing along the riskier central Mediterranean route, although it is too soon to know for sure whether the two developments are linked. This article examines the shifts in flows across the Mediterranean since 2008 and the complex web of often interconnected factors including border control and immigration policies; changes in the origins of the flows; weather patterns; evolving conditions in origin, transit, and destination countries; and adaptations to any or all of the above by smuggling networks. The article focuses on the more heavily-trafficked central and eastern Mediterranean routes, and also examines trends along the western Mediterranean route to Spain. It also outlines steps the EU border agency, Frontex, as well as Member States and others, have taken to respond to and deter flows. Source: Map from Wikimedia Commons, available online. Route information from Frontex, Risk Analysis for 2016 (Warsaw: Frontex, 2016), available online. An estimated 1 million asylum seekers and migrants arrived at EU borders without prior authorization in 2015, according to Frontex. Overall, a record 1.8 million unauthorized border crossings were reported by EU Member States in 2015 (counting individual crossings of EU external borders, not people). This unprecedented influx is more than six times the number of detected crossings in 2014. Nearly 60 percent of these crossings took place along one of the three Mediterranean sea and land routes, with the remainder occurring mainly over land routes through the Western Balkans or along the European Union’s eastern borders. Note: This encompasses land and sea crossings. Sources: 2008 data from Frontex, “Central Mediterranean Route,” available online; Frontex, “Eastern Mediterranean Route,” available online; Frontex, “Western Mediterranean Route,” available online. All other yearly data from Frontex, Risk Analysis 2016; Frontex, Annual Risk Analysis 2015 (Warsaw: Frontex, 2015), available online. The central Mediterranean route begins in North Africa and ends in Italy or Malta. People using this route largely come from Africa, increasingly sub-Saharan Africa, although growing numbers have also come from Syria in recent years. They primarily depart from Libya, with smaller numbers leaving from Egypt and Tunisia. Unlike the western and eastern routes, all borders along this corridor are sea borders. The central Mediterranean route, which proved less popular than the eastern Mediterranean route in 2008-10, surged after the Arab Spring in 2011 only to slip to second place in 2012 before becoming the most popular Mediterranean route in 2013 and 2014 (see Table 1). Sources: Frontex, Risk Analysis 2016; Frontex, Annual Risk Analysis 2015. Because the central Mediterranean route has the longest stretch of sea, it is the most dangerous of the pathways to Europe. Nearly 3,200 migrants died in the central Mediterranean in 2014 and 2,900 the year after, the International Organization for Migration (IOM) estimates. Weather conditions are worst in winter months, often leading migration to follow a seasonal pattern. Due to the hazards of the journey, most of the border-control activities along this route have become, de facto, aimed at search and rescue. Government authorities in the United Kingdom are among those who have argued that search-and-rescue operations serve as a pull factor, enticing more people to make the journey. Others dismiss this concern, citing push factors such as conflict and instability in origin countries as the overwhelming reasons for attempting the perilous journey. Although the number of would-be migrants traveling along this route approached its 2014 level in 2015, the pace of traffic shifted overwhelmingly to the eastern Mediterranean, in part because Syrians selected the shorter and relatively safer sea crossing from Turkey to the Greek islands. Most of those crossing the central Mediterranean continued to depart from Libya and were brought to shore by authorities after their vessels issued distress calls. Italy saw higher numbers of arrivals than Greece beginning again in March 2016, when the central route overtook the eastern one in popularity. Before the developments of recent years, migration along this route happened on a much smaller scale. While almost 40,000 people were detected in 2008, a bilateral agreement that year between Italy and Libya on the return of boats apprehended in international waters led to a significant decrease in flows. Numbers remained low along this route in 2009 and 2010. Following the Arab Spring in early 2011, the central route experienced a spike in migrants and refugees, fleeing instability in Libya and Tunisia, as well as from Egypt to a lesser degree. More than 20,000 Tunisians arrived in Lampedusa, Italy’s southernmost island, between January and March 2011. The Muammar Gaddafi regime forced out many of the more than 40,000 sub-Saharan Africans heading to Europe via Libya, a significant number of whom applied for asylum upon arriving in Italy. The fall of the Gaddafi regime, followed by the rise of the National Transitional Council in Libya as well as elections in Tunisia, likely played a role in reducing migration along this route later in 2011. Furthermore, Italy signed a bilateral agreement with Libya to accelerate the repatriation of arrivals; following this, flows decreased by 75 percent. Frontex also ramped up surveillance efforts via Joint Operation Hermes in an aim to prevent unauthorized migration in the central Mediterranean. In 2012, migration flows peaked in September, due to relatively better weather conditions for sea travel. The number of migrants departing from Tunisia dropped sharply in September 2012 following an Italian-Tunisian agreement on repatriation. Sea conditions were also more hazardous toward the end of the year, likely another factor contributing to this decrease. Deteriorating conditions in Libya, combined with the increased sophistication of smuggling networks, led to an uptick in flows along the central Mediterranean route in 2013, according to Frontex. Despite poor weather conditions, numbers remained high into the winter, as migrants from third countries stranded in Libya grew desperate to leave. An increase in sea fatalities and the sinking of a ship off of Lampedusa, killing 368 migrants, prompted Italy to launch the Mare Nostrum search and rescue operation in October 2013. The central Mediterranean witnessed a record number of crossings in 2014, with more than 80 percent of the asylum seekers and migrants detected departing from Libya. Smugglers employed a new tactic for transporting migrants and refugees, using large cargo ships headed directly for Italian shores. The largest flows occurred between June and September, following previous seasonal patterns. Arrivals to Malta decreased following Italy’s launch of the Mare Nostrum air and sea patrol operation and agreements between Italy and Malta on bringing intercepted boats to Italy. Mare Nostrum was replaced with a smaller EU operation, Operation Triton, at the end of 2014 that was led by Frontex and given a more limited mandate. The funding and scope of its operations later increased after deaths in the Mediterranean spiked again in early 2015. EUNAVFOR MED Operation Sophia was established in May 2015 to seize the boats of human smugglers and traffickers in international waters, with the hope of doing so in Libyan waters in the future. Despite ongoing search-and-rescue and antitrafficking operations, large numbers of people continue to move along the central route and fatalities remain high. The eastern Mediterranean, which proved the chief route to enter the European Union in 2015, entails crossing sea borders between Greece and Cyprus or land borders between Greece and Bulgaria. People using this route travel through Turkey to eastern Greece, southern Bulgaria, or Cyprus, often hoping to move onward to northern Europe. As with the western Mediterranean route, the popularity of land and sea crossings has varied over time, partly in response to border control measures and seasonal weather patterns. More than 885,000 crossings were detected along the eastern Mediterranean route in 2015—slightly more than 17 times the number recorded in 2014. Most asylum seekers and migrants journeyed from Turkey to the Greek Aegean islands. While Turkey’s land border with Bulgaria initially saw a much larger increase in attempted crossings than that with Greece, this gap decreased over time. Frontex attributes this to additional busing and shuttling services facilitating the transit of asylum seekers at Greece’s border with the Former Yugoslav Republic of Macedonia in September 2015, making the route through Greece preferable to that through Bulgaria. In the first half of 2015, 85 percent of those on this route came from countries embroiled in conflict, particularly Syria, Afghanistan, and Iraq, according to the United Nations High Commissioner for Refugees (UNHCR). An increasing number of families began making the journey, often in response to increasing delays and family reunification restrictions in other EU Member States. Notably, smuggling became an important industry in Turkey, helping to facilitate movements. Before 2015, migration along the eastern route happened on a much smaller scale, and in many years primarily on land. In 2010, flows increased along a more vulnerable part of the Greek-Turkish land border, leading to the deployment of a Frontex Rapid Border Intervention Team. Despite efforts to deter unauthorized migration, numbers increased in 2011. Flows largely followed a seasonal pattern, increasing in the third quarter of the year (July-September). The expansion of Turkish Airlines combined with Turkish visa policies, particularly toward African nations, enabled more people to fly to Turkey and journey onward to the European Union. In 2012 there was also an increase in people transiting during the third quarter of the year. Frontex and Greece expanded the presence of border-control personnel and technology along the Greek-Turkish land border, initiating surveillance and response activities and building a fence, which contributed to a decrease in detections along that section of the route. There were then moderate increases in flows at the Greek-Turkish sea border and the Turkish-Bulgarian land border, signaling that some of the migration flows had been displaced (rather than deterred) as a result of border-control policies. Frontex noted that enforcement efforts were more effective in deterring people of certain nationalities (Afghans and Pakistanis, for example) than others (particularly Syrians). The following year saw greater numbers of people making the journey over water, with detections along the Greek-Turkish land and sea borders roughly equal. Detections along the Bulgarian-Turkish border decreased after October, after an increase in personnel and surveillance. In 2014, for the first time since 2009, more migrants arrived via sea than via land. After unprecedented flows of sea arrivals overwhelmed Greece in 2015, the European Union took a bold step. In March 2016 it signed an agreement to return new arrivals to Turkey—effectively closing the eastern route—while prioritizing Syrians who had sought protection in Turkey for resettlement in the European Union. In the wake of the EU-Turkey deal, flows from Turkey to Greece have decreased significantly. Some observers have speculated that the deal will only serve to displace migration toward other routes, particularly to Italy. While there have indeed been increasing numbers of migrants and refugees using the central Mediterranean route recently, it is not yet clear if this is directly related to EU policies or to a combination of factors. Migrants and asylum seekers traveling along the western Mediterranean route depart from North Africa (Morocco or Algeria) and reach Spain in one of two ways: by arriving at either of two Spanish enclaves (Ceuta and Melilla) on the northern coast of Morocco by land or sea, or by reaching the Spanish mainland by sea. Compared to other Mediterranean avenues to Europe, a consistently small number of new arrivals have crossed this route in the past decade. Several factors contribute to this, including more effective border enforcement measures, such as patrols, as well as high unemployment in Spain, particularly for youth, since the recession, making it a less attractive destination. Furthermore, some migrants who might have opted for the western route instead turn to the central Mediterranean in the belief that they are less likely to be returned if detected by authorities, according to Frontex. Sources: Frontex, FRAN Quarterly: Quarter 4 October-December 2015 (Warsaw: Frontex, 2016), available online; Frontex, Annual Risk Analysis 2015 (Warsaw: Frontex, 2015), available online. Overall, border-control policies have had some impact in deterring migration along this route. Spain has worked to increase maritime patrols and surveillance as well as port checks. It has also signed bilateral readmission agreements with Morocco (1992, operational in 2012), Mauritania (2003, 2006), and Senegal (2006), all in an effort to deter irregular migration. Spain has also developed migration cooperation agreements with other countries, including Cape Verde, Guinea, Guinea Bissau, Mali, and Niger. The popularity of the land and sea corridors within the western Mediterranean route generally has changed over time. These fluctuations have often been connected to the border-control policies of the countries involved. For example, after Spain and Morocco increased border security operations along the Melilla border following several attempts by large numbers of would-be migrants to climb the fence ringing the enclave in October 2012, these attempts decreased. In 2013, however, land pathways to the enclaves continued to be a popular route to Spain, representing two-thirds of flows along this route. This was likely a result of increased deterrence measures along sea routes, according to Frontex. The agency noted that better weather conditions (particularly important for sea crossings) in the summer did not lead to a large rise in detections along the sea border, supporting its hypothesis. In the first half of 2014, most detections of unauthorized migrants were also along the land border, particularly with Melilla. However, since then, detections along land borders have decreased due to enhanced security. To avoid detection, migrants have increasingly used sea routes to reach Spain. Just as use of individual pathways within the western Mediterranean route has fluctuated over time, the people traveling along this route have changed as well. A decade ago, according to Frontex, migrants along this route mainly hailed from Algeria and Morocco, migrating primarily for economic reasons. More recently, however, increasing numbers of people from conflict-torn countries in sub-Saharan Africa—including Cameroon, the Central African Republic, Chad, Mali, Nigeria, South Sudan, and Sudan—have sought safety and stability in Europe by using the western route. Additionally, in 2015 a growing number of asylum seekers fleeing war in Syria traveled along this route. While relatively small compared to the number of those journeying along the eastern Mediterranean route, Syrians are also using both the western and central routes—a small but notable demographic shift. Grappling with a record-setting number of new arrivals since 2015, the European Union and Member States have enacted a range of policies and measures in an attempt to curb the influx. Central and Eastern European countries have implemented border control mechanisms that resulted in the effective closure of the western Balkan route to northern Europe. Meanwhile, the North Atlantic Treaty Organization (NATO) is conducting surveillance activities in the Aegean Sea. The EU-Turkey agreement is working to stop the flow of arrivals to Greece from Turkey by deterring migration as well as creating better conditions for refugees in Turkey to increase incentives to stay. Italy is combating human smuggling in cooperation with other European countries. There are also plans to create a European Border and Coast Guard to expand upon Frontex. Furthermore, the European Commission recently proposed establishing tailored partnership programs on trade and development with nine Middle Eastern and African countries (initially, with additional countries to follow) in an effort to increase returns and curb unauthorized flows to Europe. It is too soon to know what the long-term impact of these measures will be and whether they will deter or merely displace migration flows to Europe. Overall, state efforts to reduce migration have had mixed results in achieving their stated aims. Rather than deterring migration altogether, early evidence suggests increased enforcement of land borders has frequently served to increase maritime migration, with flows adapting to changing enforcement conditions. Maritime migration is both more dangerous for those migrating—who frequently turn to smugglers for assistance—and more difficult for policymakers and authorities to manage. Some of these policies have also led to criticism from human-rights groups, particularly as they affect the safety and ability of asylum seekers to apply for international protection. Attempts by governments to manage migration flows should take into account not only the fluidity of flows but also the complex web of factors at play behind them, which operate simultaneously and can be difficult to tease apart. Some of these factors—such as border management activities including border checks, surveillance, and fences; as well as regional and bilateral agreements on returns—fall under the control of government actors. As many migrants and refugees hope to continue to countries farther north after crossing the Mediterranean, policies in destination and transit countries in Europe (such as family reunification or border closures), or the perception of such policies, can also influence flows. At the same time, many factors are beyond the control of destination-country decisionmakers, chief among these being conditions in origin, transit, and destination countries, including political instability, violence, human-rights abuses, health of the economy and labor market, and visa policies. A key factor is, of course, the personal motivations of individual migrants themselves, which can be a mix of humanitarian, economic, and family-unification reasons, and can vary over time. Other factors in decisionmaking can include the (relative) ease and risks of the journey, cost, networks, and information about conditions along the route. Weather conditions, smuggler tactics, and geography also affect when and where people move. All of these elements, and the interactions between them, influence the numbers of people migrating, the routes and methods used, and whether flows will be deterred or merely displaced by border-control measures and policies. These factors thus have important policy implications for effectively and fairly managing migration. Altai Consulting. 2015. Migration Trends Across the Mediterranean: Connecting the Dots. Cairo: International Organization for Migration (IOM) Regional Office for the Middle East and North Africa. Available Online. Ayres, Sabra. 2015. Once Scene of Chaos, Greece-Macedonia Border Now Well-Oiled Crossing. Al Jazeera America, September 14, 2015. Available Online. Baczynska, Gabriela and Sara Ledwith. 2016. The Walls Go Up in Europe. Reuters, April 4, 2016. Available Online. Chee, Foo Yun. 2016. EU Sees 'Alarming' Migrant Buildup in Libya, Warns Italy. Reuters Canada, April 13, 2016. Available Online. Trajectories across the Mediterranean. Coventry, UK: MEDMIG. Available Online. EU Observer. 2016. Italy Wants Turkey-Style Deals to Return African Migrants. EU Observer, April 5, 2016. Available Online. European Commission. 2016. Commission Announces New Migration Partnership Framework: Reinforced Cooperation with Third Countries to Better Manage Migration. Press release, European Commission, June 7, 2016. Available Online. Frontex. 2010. Extract from the Annual Risk Analysis 2010. Warsaw: Frontex. Available Online. ---. 2011. Annual Risk Analysis 2011. Warsaw: Frontex. Available Online. ---. 2012. Annual Risk Analysis 2012. Warsaw: Frontex. Available Online. ---. 2013. Annual Risk Analysis 2013. Warsaw: Frontex. Available Online. ---. 2014. Annual Risk Analysis 2014. Warsaw: Frontex. Available Online. ---. 2015. Annual Risk Analysis 2015. Warsaw: Frontex. Available Online. ---. 2016. Risk Analysis for 2016. Warsaw: Frontex. Available Online. ---. 2016. Central Mediterranean Route. Accessed March 28, 2016. Available Online. ---. 2016. Eastern Mediterranean Route. Accessed March 28, 2016. Available Online. ---. 2016. FRAN Quarterly: Quarter 4 October-December 2015. Warsaw: Frontex. Available Online. ---. 2016. Western Mediterranean Route. Accessed March 28, 2016. Available Online. Giuliani, Jean-Dominique. 2015. The Challenge of Illegal Immigration in the Mediterranean. Paris: Fondation Robert Schuman. Available Online. International Organization for Migration (IOM). 2015. 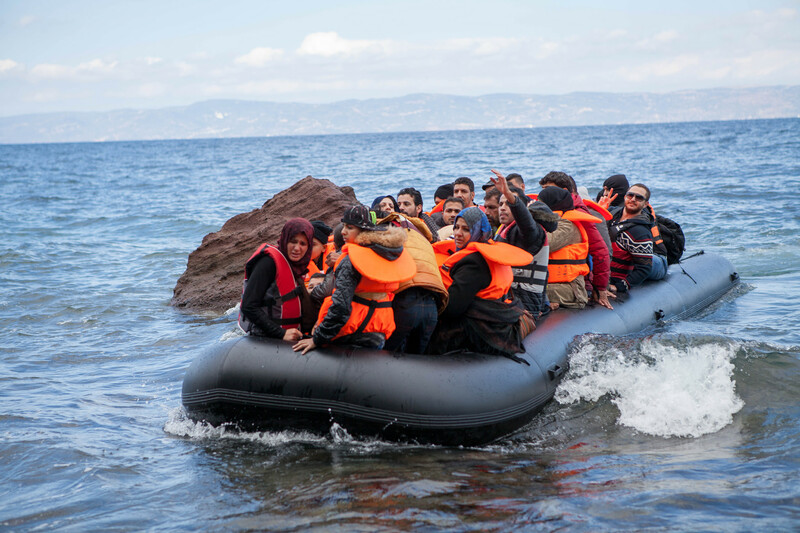 Addressing Complex Migration Flows in the Mediterranean: IOM Response Plan. Spotlight on South-Eastern Europe. Vienna: IOM Regional Office for South-Eastern Europe, Eastern Europe, and Central Asia. Available Online. ---. 2016. Mediterranean Sea Data of Missing Migrants. Updated June 16, 2016. Available Online. Kuschminder, Katie, Julia de Bresser, and Melissa Siegel. 2015. Irregular Migration Routes to Europe and Factors Influencing Migrants’ Destination Choices. Maastricht, Belgium: Maastricht Graduate School of Governance. Available Online. Mucci, Alberto. 2016. Italy’s search for a new Libyan savior. Politico, April 3, 2016. Available Online. Nuño, Macarena. 2014. Migration Policies of the European Union with its Mediterraean Partners—Need for Greater Mobility. Brussels: Directorate-General for External Policies of the Union, European Parliament. Available Online. United Nations High Commissioner for Refugees (UNHCR). 2015. 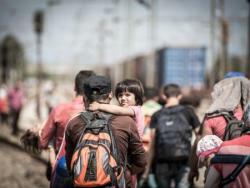 The Sea Route to Europe: The Mediterranean Passage in the Age of Refugees. Geneva: UNHCR. Available Online. The year 2015 was punctuated by a series of migration crises that contributed to the highest levels of displacement ever recorded. This year also was marked by significant immigration policy developments around the world. MPI experts analyze these and other major trends and developments in a countdown of the Top 10 Migration Issues of 2015.